We are the major supplier of Rollup Joint in India for our valuable customers. Sturdier in nature, these Galvanized Profile Spring Wire are best in quality and completely safe to use in rough conditions. Light in weight these spring wires are reliable and finely finished. 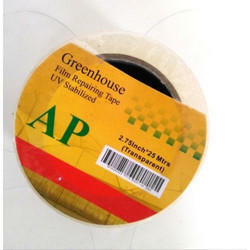 Quality checked these spring wires are made under the guidance of engineers with the use of best and heat proof metal. 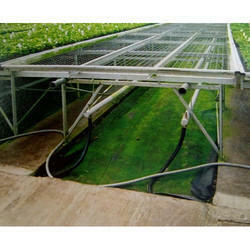 By using skills of experts, we are involved in providing Greenhouse Gutter. Patrons can avail this product from us at nominal costs in diverse specifications. We provide our clients with Poly House Accessories that are fabricated with Shade House.